As you can expect from a leading action camera producer, this Sony model comes with full HD 1080p filming up to 60 frames per second (720p does 120 fps) for smooth slow motion filming, CMOS censor for high quality in low light, image stabilizing, waterproof case and long-life re-chargeable Lithium battery. The main new improvements are the built-in Wi-Fi, built-in GPS and higer resolution for still shots at 12.0 megapixels. The Wi-Fi allows you to sync it with your Smartphone via the special Sony app so you can have a view finder and control over the camera. The GPS is very cool. It tracks all the important details including speed, location, route and time. Perfect for recording your drive or touring on your bike. You can add all the details on the screen when producing the final video. The Sony HDR-AS30V comes with 6 accessories straight out of the box. Suction cup mount – for sticking on windows, car panels and other flat smooth surfaces. When compared with the GoPro Hero3’s boxy look, you get a different and more streamlined barrel-looking design. The camera’s measurements are around 3.3 by 1 by 1.9 inches and it weighs about 2 ounces, which is just a tad lighter than the Hero3. Right side of the camera has Previous and Next buttons, as well as a monochrome LCD. There’s a big Record button and a smaller hold switch at the back area. The back also has a microSD card slot which can be used for cards no bigger than 64GB. An USB and HDMI ports, as well as a 3.5 mm microphone jack can be found in a compartment at the bottom of the camera. 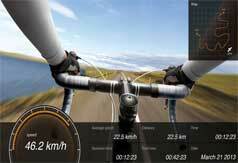 Similar to GoPro’s system, you browse through the settings by using the LCD, with only difference being that the Action Cam makes use of all three buttons in order to navigate the settings. Prev and Next buttons are used for scrolling through options, while the Record button makes the selection. Wi-Fi lets you connect the camera to Android and iOS devices by using their free app. From there you can make a lot of changes in the shooting settings, use your camera as a viewfinder and even upload videos. Battery life was decent with this camera, even with Wi-Fi on, it still outperformed the GoPro Hero3. Although the Sony Action Cam has many was easily beaten by the superior Hero3 in every aspect except battery life. The Sony HDR-AS30V Action Cam offers a few extra features above the older Sony versions and advantages over the Hero. The big ones are the GPS, Wifi, better still shot resolution and longer battery life. When comparing video quality, the GoPro 3+ wins with slightly sharper video, brighter colors and better audio. Plus the GoPro Hero 3+ can shoot 4K video which no other helmet camera can do yet. Price wise, the Sony is cheaper than the GoPro 3+ and comes with some good accessories (but not a lo of mounts), and image stabilizing so you can be assured you will be very happy if you decide to buy the Sony. Sony’s camera doesn’t give a lot of mounting options, unless you buy them separately. Overall, for the price, you will get a lot of fun and quality video/still pictures from this camera. Definitely a competitor to the GoPro. The HDR-AS30V is priced at $298.00 on Amazon (around $50 cheaper than the GoPro). If you don’t want Wi-Fi and GPS, the HDR-AS15 model will deliver about the same quality video and can be bought for around $199.99 on Amazon. This Sony Action Cam will be able to capture your most extreme moments on the more affordable side. If you were to ask if this is better than the GoPro, I would say no, but only slightly. If you want that little bit better quality and happy to live with paying a little extra and slightly shorter battery life, then the GoPro might be for you. 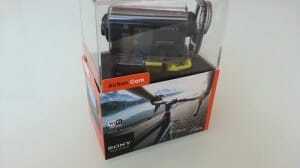 Thanks and I hope this review of the Sony Action cam HDR-AS30V helps you in decide which is the better one to buy.